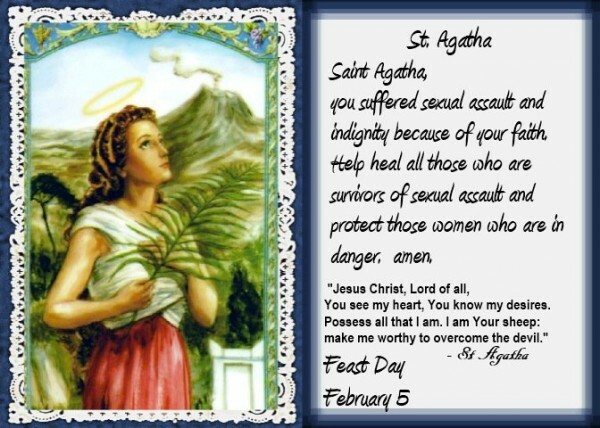 Today on February 5th, is the day for The Patroness Sankt Agatha. She is my Patroness Saint. 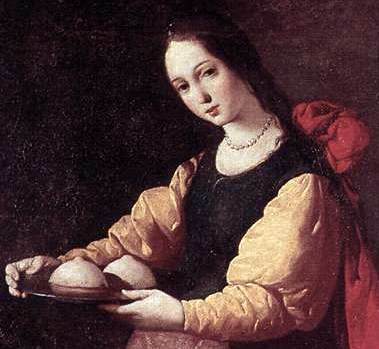 Born on Cicely, at the age of 15, she refused to marry an older man, as she had promised herself to God. The man had her send to a brothel, where she was tortured. Therefore, she is The Patroness Saint for Breast Cancer operated. I thank her for looking out for me and the Breast Cancer People I know.